A Windows application that provides industry standard AES256 file encryption in a proprietary algorithm that does not require a username or password for encryption or decryption. It does not require a specific storage system or infrastructure. 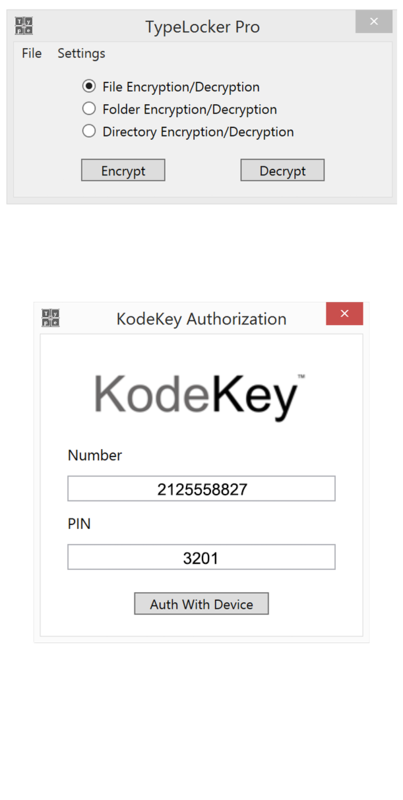 Enable KodeKey for additional authenticated decryption. Available to industry partners. Also available: TypeLocker Enterprise, a command line version that adds TypeLocker encryption and decryption to any application.